I am Baas wrote: You were not paying attention, same as with the viewer, the editor comes in two flavors; a free and a pro one. Ah. I guess some entry edits are on their way. 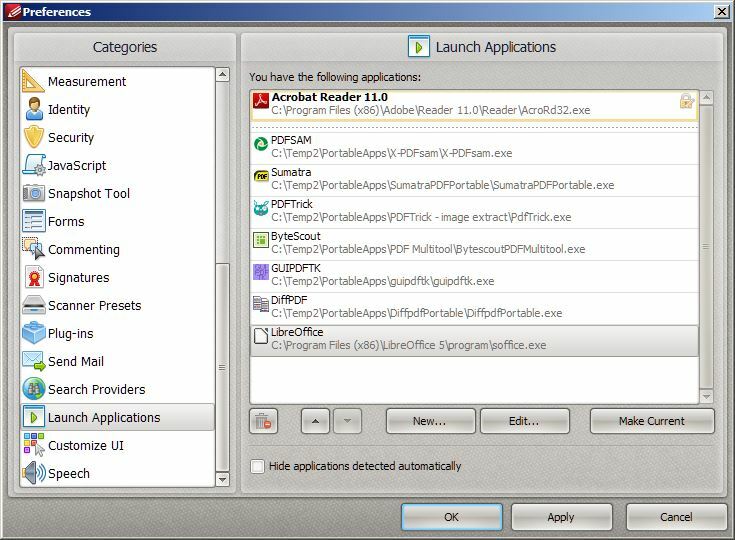 PDF-XChange Editor added to the database, please vote. 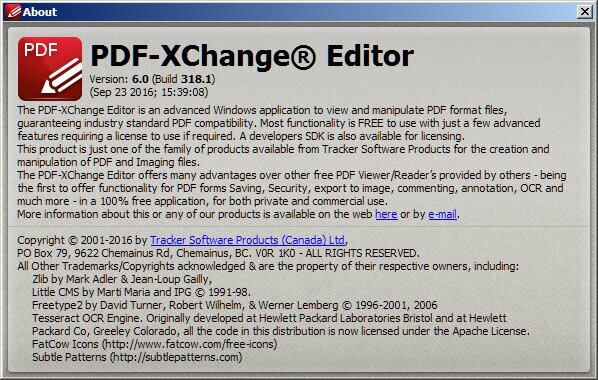 billon wrote: PDF-XChange Editor added to the database, please vote. Thanks for adding PDF-XChange Editor + voted. The new "Editor" program has a lot of great new functions and overall I like the clean, easy appearance but I wish there were a way to disable all the pro-only menu items. I kind of want to add an "optional" note to the entry saying you should go into the customize interface and uncheck the pro-only "Content Editing" and "Form" button (to remove the buttons Edit Comments, Edit Form, Edit Content, and Add Text buttons). Even still, I'm really happy with the basic page crop and attachments features. Those are great. I think the Viewer had that, anyway I've been using the Editor for a good long while now and it's been great, kills anything else out there except maybe SumatraPDF (if all you need is a quick view of a tiny pdf like a change log). I've even requested features over on their forums which did get implemented, so maybe you should ask them for a way to hide pro features like how the old Viewer did it. Yeah I tested Joby's trick and it works. Though now the "advanced" menu is empty where really it should just not show up. Good catch. Edit: added note to entry on this point. I do still really like the old "Viewer" program but I've been gradually testing both to see if there are any solid advantages from the new program. So far functionality seems mostly similar. One thing I really like is the ability to open other programs to assist. Basically, Editor has most of the features Viewer has maybe missing a few minor ones but has a few extras of its own especially if you got Pro. Memory usage is higher in Editor but its put to good use as it generally performs faster than Viewer. It's recommended to use Editor over Viewer as your default PDF reader now that it has most of the features that was exclusive to Viewer added back in. webfork wrote: I do still really like the old "Viewer" program but I've been gradually testing both to see if there are any solid advantages from the new program. So far functionality seems mostly similar. The Editor has an option to to not use disk caching to decode images under the performance option. It will use your RAM instead. And because of that performance is silky smooth with the editor because RAM is obviously faster then the I/O activity that happens on disk, especially if you are on an old HD and not modern SSD. Another negative is all this huge amounts of I/O can slowly kill your HD. (Yes I know the lifetime amount of I/O writes is in the hundreds of TB's, which is like years of activity) but there is really no reason to not reduce unnecessary writes to maximize the life span in situations like this. So I gave this editor a try, and I can't help but wonder if I am missing something? It doesn't seem to actually DO anything in free mode. I can't create a file (at all) or edit a file (in any meaningful way) without it having watermarks. If I am missing something, can someone point it out please? If not, then I question calling this freeware and including it in the database. I really wanted this app to work for me. It looked awesome. dmg wrote: So I gave this editor a try, and I can't help but wonder if I am missing something? It doesn't seem to actually DO anything in free mode. I can't create a file (at all) or edit a file (in any meaningful way) without it having watermarks. If I am missing something, can someone point it out please? If not, then I question calling this freeware and including it in the database. 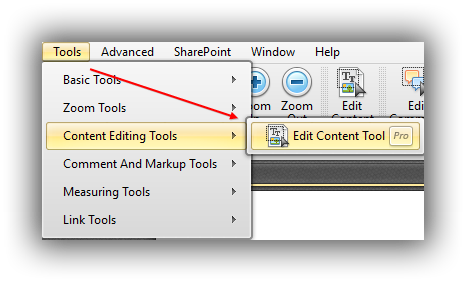 PDF-XChange Editor has replaced Viewer. Viewer hasn't really gotten any real changes in all these little updates its gotten because its basically discontinued. If you compare the update history, Viewer has only received 2 minor maintenance bugfixes in the past year. PDF-XChange Editor in free mode is basically just PDF-XChange Viewer but with a different name, better performance and continued updates. You have to buy a license to use the editing features. To hide all paid only features, go to preference > registration > "Hide all licensed features from toolbars and menus". If you've tested a lot of other freeware editors, you'll notice a pattern where certain groups of features just aren't available until you buy something. 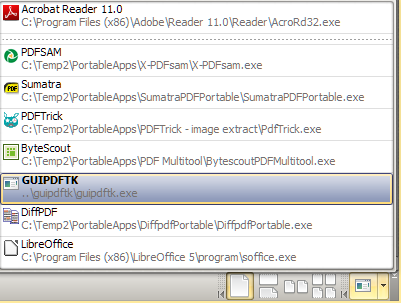 I put a lot of time and effort into finding additional PDF tools that add one or two features outside that group of features. For this program, that's the search feature, which is outstanding. As to whether or not it belongs in the database, PDF XChange is probably my favorite PDF program, in close competition with Sumatra. 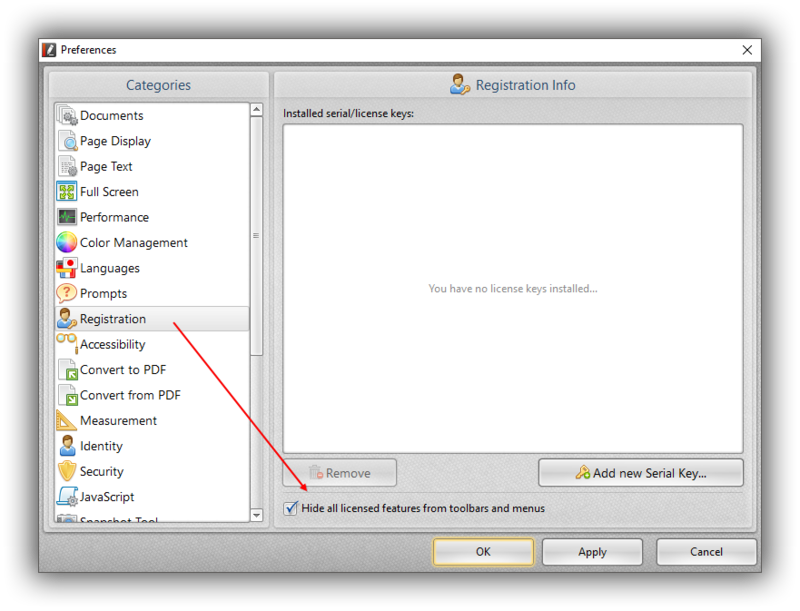 Userfriendly is probably right that the PDF-XChange Editor will soon replace it in terms of my preferred program. Really anything to avoid Adobe's overpriced Acrobat program. It's been pulling teeth to get companies I work for to even TRY something else. I recommend against updating to the latest version. 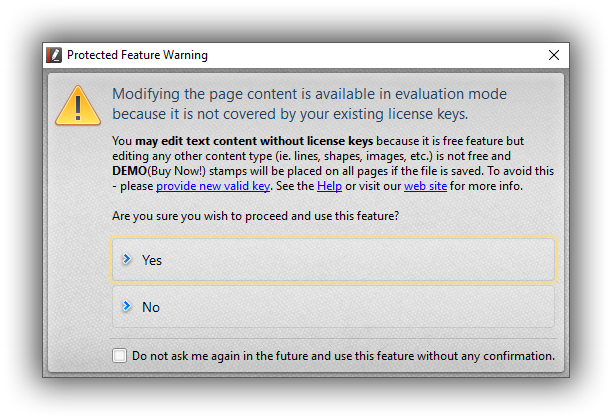 Sadly the program has quite a few new features, but insists on adding "Demo" watermarks all over most things it actually modifies, which throws this into the demo category rather than freemium. It's a little frustrating just because it's not clear until you run (for example) a conversion process to MS PowerPoint or adds an edit password to exported MS Word files (I couldn't find this documented anywhere). This doesn't affect the OCR. I've updated the program screenshot, description, and added OCR instructions.